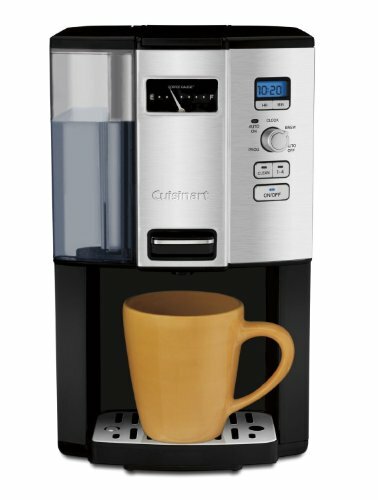 Cuisinart Coffee-on-Demand Automatic Programmable Coffeemaker, 12 Cup Removable Double Walled Coffee and Water Reservoir, with Dispensing Lever, and Auto Brew and 1-4 Cup Brewing, with Auto Clean Feature, Permanent Gold Tone and Charcoal Filter Included by CUISINART at Jakis Cafe. MPN: DCC-3000C-1PKC. Hurry! Limited time offer. Offer valid only while supplies last.